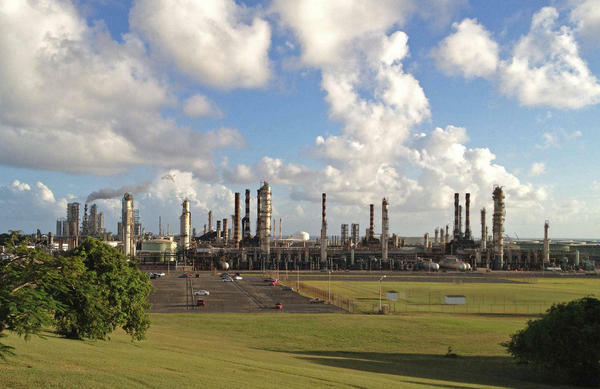 The 350,000 barrel per day refinery has been in operation since the 1960s and clearly provides a huge tax income for the island. Looking at the picture below I still wonder why paradise would want such a disgusting operation. Of course, the real question is whether Hovensa will tear it down or just let it fall apart. I was there. It is not such a nice island. Too bad it can not be kept open and make a profit. this is bad for Hess. I was there July 2011. Still lots of natural beauty. Great beaches and fishing. Hovensa should pay to clean it all up, even the fences, and put it back the way it was before the 60's. Make it a park for everyone to enjoy. Help restore the natural deer population. St. Croix needs less cars, smaller cars, and natural gas is good too.